Bola is going right now! 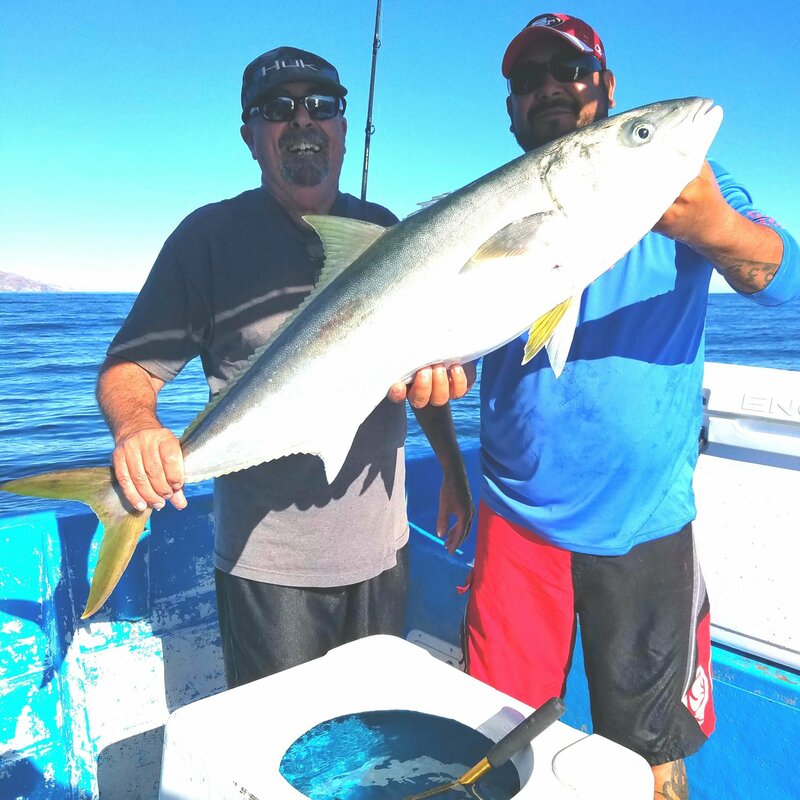 Discussion in 'Baja Mexico Fishing Reports and Discussion' started by Bottom Line, Oct 21, 2018. Fished with Enrique Daggett and Juan Cook today - super quick limits on the larger models with perfect weather! cortezpirasea, mafrancis66, brich4aday and 9 others like this. Beautiful fish and the pond looks nice too. Oct is a great month there. What a fun duo to fish with! mafrancis66 and Bottom Line like this. brich4aday, denis and Bottom Line like this. Enrique Daggett and Bottom Line like this. I'm heading down this week, what area were you fishing? Do you have any intel on how the reef fishing was, cabrilla and the like? I'm going to be spearfishing, did you notice what the water clarity was like? And how was the road/border line coming home? Sorry for all the questions, just excited for my trip and fresh intel would be super helpful! Los Machos was the spot on Saturday - Remedios was going off on Sunday - dropper loop fish at 200'. Did some shore casting for cabrilla in less than stellar areas and managed 4 or 5 - water has the usual "stain" nearshore and clear outside. The road was fine with a few rough spots around Catavina and north of the turnoff but no potholes. Enrique tienes disponible el 26 de este mes avisame .gracias.